We’re going to guess that you have. For those of you that haven’t, however, here’s a little look at what to expect. And the reason we’re going over this now? Because it’s finally here! As the name suggests, we have completely reworked both the mining and smithing skills so that they're useful and profitable, and much more interesting to have and to level. The first thing you need to know about both skills is that we've fixed all the level requirements so they make sense. You know how right now you need 85 smithing to make rune equipment which requires level 50 combat skills to use? We've fixed that so rune equipment only requires level 50 smithing to make. Of course, that means all the existing content stops at 50, so we've also added in four new tiers of metal at 60, 70, 80 and 90. Each new tier of metal has a new set of armor and weapons you can smith out of it. Items take longer to smith, which makes them more valuable, but the XP per item is more than it was before. To make the skill a bit more interesting and realistic, you can heat up your items in the new forges we've put next to every anvil so you finish the item faster, and get faster XP. This lets you choose how active you want the skill to be, from completely AFK to very frequent clicks. Smithed items can now be upgraded, which makes them better in combat and also gives faster XP than just making the base items. That means smithed items are useful to smiths as a source of XP, so you can sell the items you've made to other players, or buy more yourself for faster XP. Items which have been fully upgraded can be taken to the artisan's workshop in Falador and given to the dwarves in a special burial ceremony. This ceremony destroys the item but gives the fastest smithing XP per hour. We've added regular anvils to the artisan's workshop and it's also the best place now to do regular smithing. You'll earn respect points for all smithing done in the Artisans workshop, and there are group buffs you can share. When you reach 99 smithing you'll earn the ability to make a powerful new set of masterwork armour. This is tier 90 power armour which degrades to broken and can be augmented. Masterwork armour can be made with just the mining and smithing skills, so it's a great way for Ironmen and non-bossers to get hold of endgame armour. A full set of masterwork takes 600 bars of each core metal to make, so you'd better get saving. If you're already rocking Malevolent though, you can combine your masterwork set with a full set's worth of malevolent and a full set's worth of Torva to trim it. Trimmed masterwork armour is tier 92 power armour with a set effect that makes melee combat safer against difficult bosses. In addition, you can custom-fit a complete set of trimmed masterwork armour so that it degrades and loses charge slower, making it more economical to use. Custom-fitted armour also never degrades when fighting your slayer or reaper targets. Masterwork and trimmed masterwork are fully tradeable, so even if you're not a smith you'll be able to buy them. 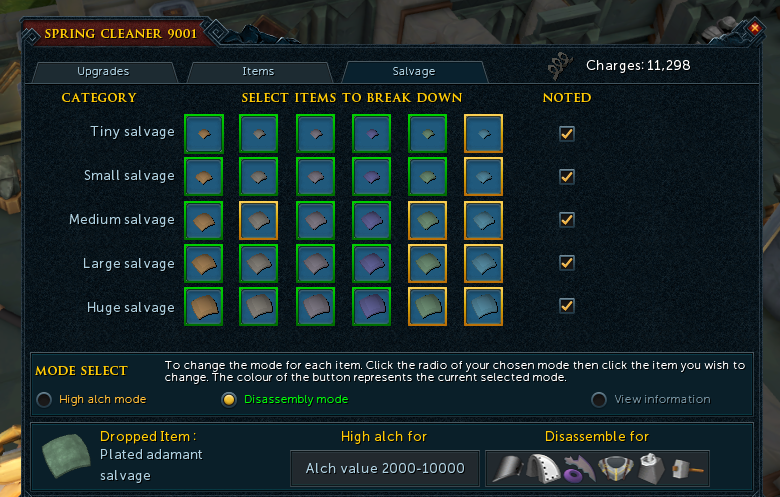 Smiths get one untradeable combat benefit though, which are armour spikes. Armour spikes are equipped in your ammo slot, and damage anything that hits you in melee as long as you're wearing melee armour. Get your pickaxe and head to a mining node, click on it, and you'll find you get XP and ore much the same as before. For the best rates you'll want to make sure you're using a pickaxe that's at least as high level as the rock you're mining, so if you want to jump straight onto the new level 90 rocks you'll need to get your hands on one of the new level 90 pickaxes. You can make a level 90 pickaxe using the new level 90 metal we've added, or you can get an augmentable one by combining a crystal pickaxe, imcando pickaxe and a blast fusion hammer. If you're currently using a crystal pick or dragon pick you should look to upgrade before you try mining the level 90 rocks or you'll find your XP and ore rates aren't that great. When you're mining you'll see that every swing gives XP, and fills up part of a progress bar. When the progress bar fills up, you'll get an ore. Using better pickaxes and being higher level fills the bar faster and gives you ore more often. You may also notice that mining rocks don't deplete anymore. That means three things. Rather than fleeing to another world when you see another player, you can mine together in peace. You can mine valuable high level ores now without them vanishing and never being seen again. You can mine completely AFK if you want to. Rock on! The XP and ore rates you get while you're completely AFK aren't that great though, so if you want more, you can work for it. Occasionally another rock will sparkle nearby, and if you move to that one you'll get an instant boost of XP and ore progress which makes it well worth moving if you're paying attention. There's also a mechanic to reward clicking every 4 ticks on the rock that you're mining, but the bonus is only small so if that idea horrifies you, you don't need to do it. To get a more precise overview of the mining and smithing rework you can read all the patch notes here. In the patch notes you will also find some useful links to documentation! 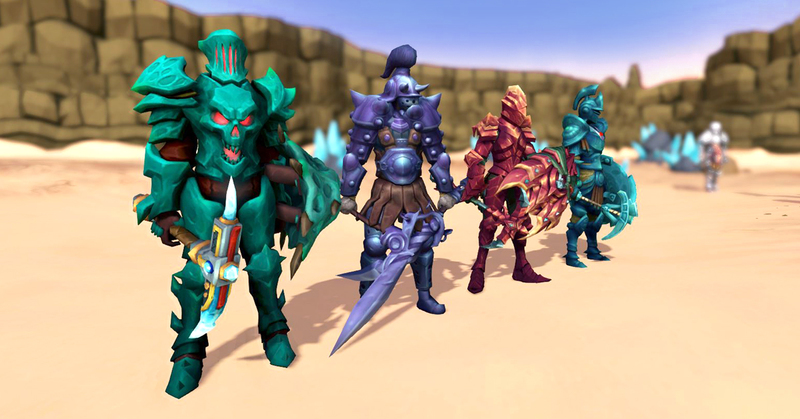 Forums: Celebrate 18 years of Gielinorian adventures and you could win a very special trip to the Jagex offices. Discover where Gielinor was born, and how we make it better every day. Meet the JMods and live a truly unique moment you'll never forget! Reddit: Let us know your fondest RuneScape memories for a chance to win a Fine Print Art of the Illustrated Map of Gielinor. Twitter: Share our competition tweet for a chance to win our freshly released RuneScape OST Classics and Orchestral Collection (CD & Vinyl). Discord: Post your stories and screens (achievements, fails, fun moments, gorgeous screenshot, etc) on the "#18th-birthday-competition" channel for a chance to win signed goodies. 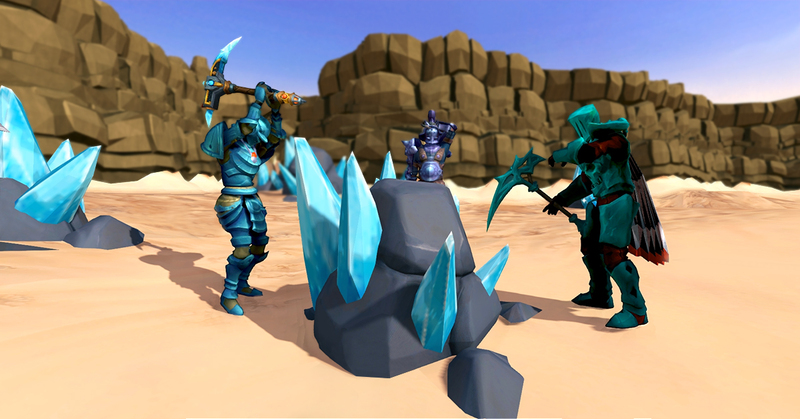 And last but not least, throughout the month of January, share your favourite RS art with #RuneScape18Years on Facebook, Twitter and Instagram – or via competitions@jagex.com – for a chance to win a unique hand-painted 3D-printed figurine of Hans, the first ever NPC to see the day in RuneScape. If you’ve been watching our livestreams, you must know that it’s a great opportunity to grab some awesome in-game prizes. Each and every stream watched in January will give you a guaranteed random drop from one of these: Prismatic small fallen star, Prismatic medium fallen star, Prismatic small lamp, Prismatic medium lamp, Spirit Ruby, Spirit Diamond, Advanced Pulse Core, Spring, Silverhawk down, Medium DG Token Box, Small DG Token Box, Uncut Dragonstone, Large Cash Bag, Medium Cash Bag, Small Cash Bag. As we’ve kicked-off 2019 with a banging Birthday celebration stream, time to look ahead on the first updates of the year! Let’s start with the long-awaited Mining & Smithing Rework, how the first days are going and what to expect after. Then, we’ll tease more of Elite Dungeons 3, our ideas for next Game Jam, the Comp Cape Rework, and more. Don’t miss this stream if you want to be in the firsts to know what’s coming in Gielinor!